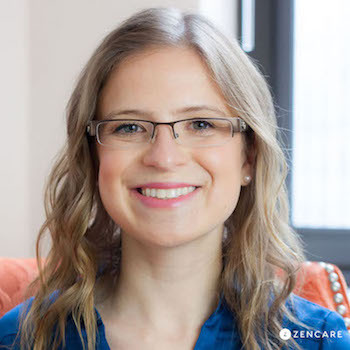 Dr. Deborah Deliyannides is an Assistant Clinical Professor of Psychiatry at Columbia University College of Physicians and Surgeons and a board-certified Psychiatrist with practices in Connecticut and Manhattan. She sees teenagers and adults across the life span with anxiety, depression, and ADHD in addition to specializing in trauma and relationship difficulties. 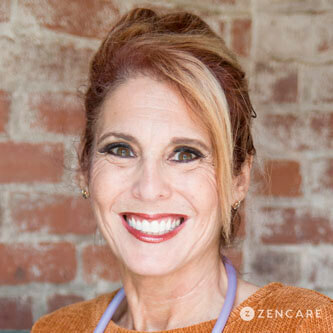 She provides medication management and psychodynamic psychotherapy to individuals and couples. Fees & Insurance: Dr. Deliyannides is not in-network with insurances but can can provide paperwork for insurance reimbursement. 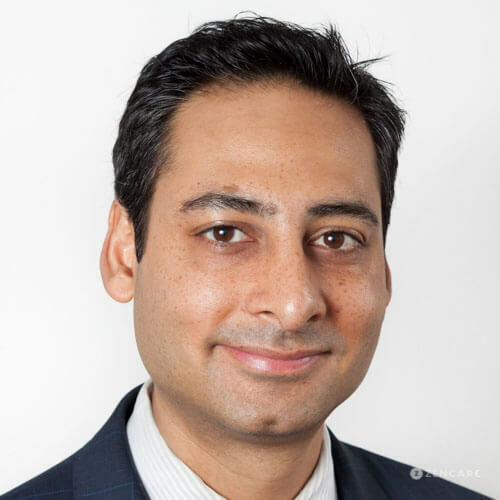 Dr. Sandip Buch is a Board-Certified Adult Psychiatrist and founder of Skypiatrist.com who offers remote sessions to individuals living in California, Connecticut, Illinois, New Jersey, and New York. Dr. Buch specializes in psychiatric evaluations and psychiatric medication management and a majority of his patients are in their 20s and 30s. Dr. Buch believes everyone should have access to convenient, high-quality psychiatric care, which is why he started Skypiatrist.com- where he sees patients through videochat, does medication management and treats most conditions except ADHD. All his appointments start ontime, and he sees you where you are—at home, at work, even if you are traveling. Dr. Renée Kohanski is a board-certified psychiatrist with added training in forensic psychiatry. Her new office is conveniently located in Mystic, Connecticut. She is a highly seasoned clinician, drawing from multiple years of clinical experience across many institutions. She received her MD (Medical Doctorate) from New York Medical College followed by an internship and residency with Georgetown University Hospital Center, serving as Chief Resident in her senior year. She subsequently completed a forensic psychiatry fellowship training at the University of South Carolina. Fees & Insurance: Dr. Kohanski is not in-network with insurances but can can provide paperwork for insurance reimbursement. Sofia DiSanti is a Licensed Clinical Social Worker in Midtown East, New York, next to Grand Central station. She specializes in career-related anxiety, women’s relationship challenges, anxiety, depression, eating disorders, and trauma. Sofia particularly enjoys working with young professionals and women exploring their career paths, assessing or trying to enter into romantic relationships, and trying to discover what makes them happy overall. Kevin Chiang is a Licensed Independent Clinical Social Worker specializing in Motivational Interviewing, depression, adjustment issues, addiction, and compulsive behavior. He also has expertise in cultural diversity, both from personal experience and from working with participants in asylum programs. In his private practice, Kevin sees children, teenagers, young adults, college students, adults, and family therapy. He particularly enjoys working with men looking to overcome emotional blocks and work on anger issues. Fees & Insurance: Kevin is not in-network with insurances but can can provide paperwork for insurance reimbursement. 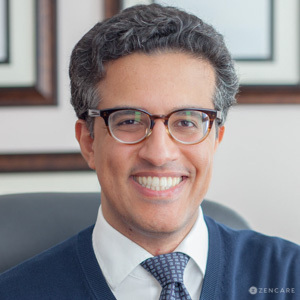 Dr. Hassan Minhas is a Yale and Brown University trained Child, Adolescent, Adult, and Forensic Psychiatrist. He is an Assistant Professor of Psychiatry at Yale School of Medicine, and serves as the Director of Outpatient Autism Services at the Hospital for Special Care. He has expertise is in child and adolescent psychiatry, Bipolar Disorder, Autism Spectrum Disorder, anxiety, ADD/ADHD, and addictions. In addition to outpatient psychiatric care for children and adults, he is also available for forensic analysis and expert testimony. Fees & Insurance: Dr. Minhas is not in-network with insurances but can can provide paperwork for insurance reimbursement. Sign up below to learn when we launch in Connecticut! Thank you! We'll be in touch when we launch in Connecticut!